End of 2013 we already posted about a company called Lifesaver. LIFESAVER Systems are a British Company. 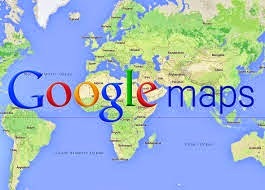 They serve 3 main markets: Humanitarian, Leisure & Military. Their products are shipped to all corners of the world. Their customers and users range from canoeists paddling up the Amazon, Haitian families recovering from the ravages of the 2010 earthquake, soldiers scavenging water in the green zone in Afghanistan and overlanders like us. Around the world, LIFESAVER systems have helped hundreds of thousands of people produce safe sterile drinking water. 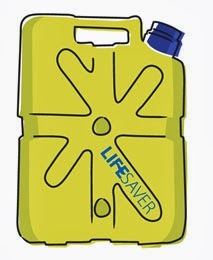 Lifesaver has been so kind to support us with a jerrycan to use on our trip. Thanks to Lorraine it's working perfectly! "Everyone deserves safe drinking water" - founder Michael Pritchard. "1.1 Billion People are trapped in water poverty. At LIFESAVER we have the answer. We offer simple low cost solutions enabling those in water poverty to be freed from it. Current thinking tells us that we must build water infrastructure in the underdeveloped and developing world. Realistically however, the funds simply do not exist to make this happen. We believe in thinking differently." Please read more about Lifesaver and their products on their website and also how you can support them!